Our planet the Earth is the third planet from the sun. The shape of the Earth although considered to be spherical, is actually oblate spheroid (squashed at the North and South poles). 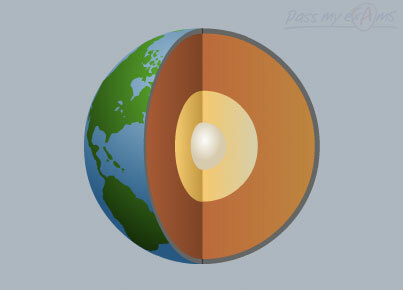 The internal structure of the Earth is made up of three main layers; the crust, the mantle and the core. 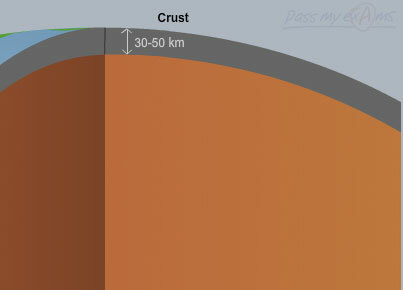 The outermost layer of the Earth is called the crust. There are two types of crust. The thicker continental crust (30 to 50km) upon which the lie the continents and the thin oceanic crust (5 to 7 km) upon which the oceans lie. Beneath the crust lies the mantle. 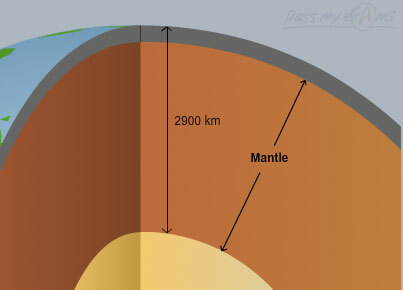 The mantle extends down from the surface to about 2900 km. It has different temperatures at different depths. Towards the surface the temperature is cool and it is composed of solid rocks. At about 80 km depth the temperature of the mantle increases to about 1400 °C and here the rock becomes molten, similar to lava in volcanoes. 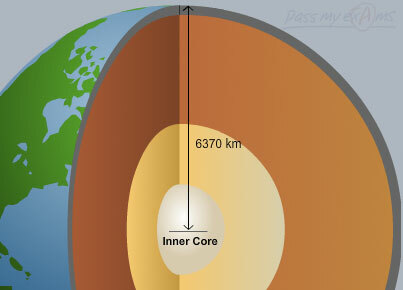 The Earth's core is made up of mainly iron and nickel. Here the temperature is so high that the iron and nickel melts so the outer core is a very dense molten metal. 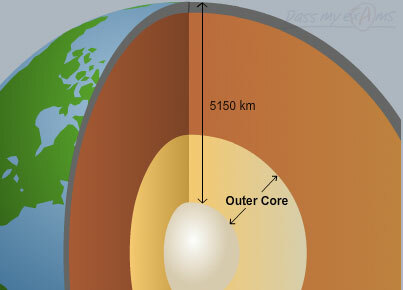 The temperature of the inner core is between 4,400°C to 6,600°C. This is hotter than the outer core but the metals remains in the solid state due to the immense pressures created by the weight of the overlying outer core and mantle.